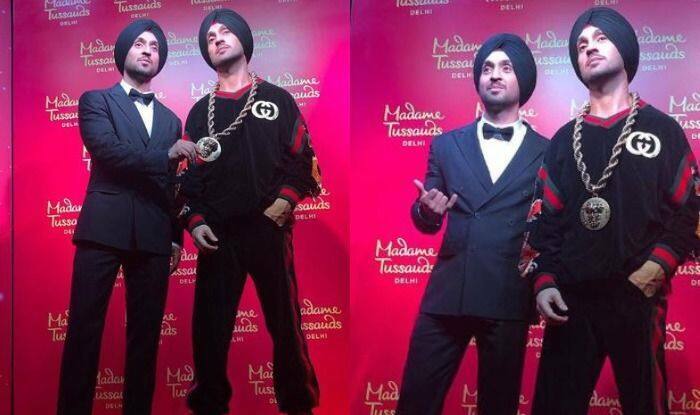 Singer-actor Diljit Dosanjh‘s has finally unveiled the wax statue at Madame Tussauds Delhi earlier today. Singer-actor Diljit Dosanjh‘s has finally unveiled the wax statue at Madame Tussauds Delhi earlier today. He shared the pictures of the statue on his social media and gave a catchy caption to it. Diljit who is famous for his hit Punjabi numbers and applauded for his performance in films like Udta Punjab and Soorma, took to his Instagram to share pictures with the statue and captioned it, “Aukaat Ghat Te Kirpa Zyada  Dosanjh Kalan Ton @madametussauds@madametussaudsdelhi  Wah Maalka Terian Tu Jaaney  LOVE MY FANS 珞珞”. The statue was initially scheduled to be revealed on February 28 but was postponed in the wake of mourning over the Pulwama terror attack. Yesterday, announcing the news, Diljit took to his Instagram to share a picture of himself and captioned it, “Tomorrow #Madametussauds Dosanjhanwala in DELHI TOMORROW Nu LOVE MY FANS @madametussauds@madametussaudsdelhi”.